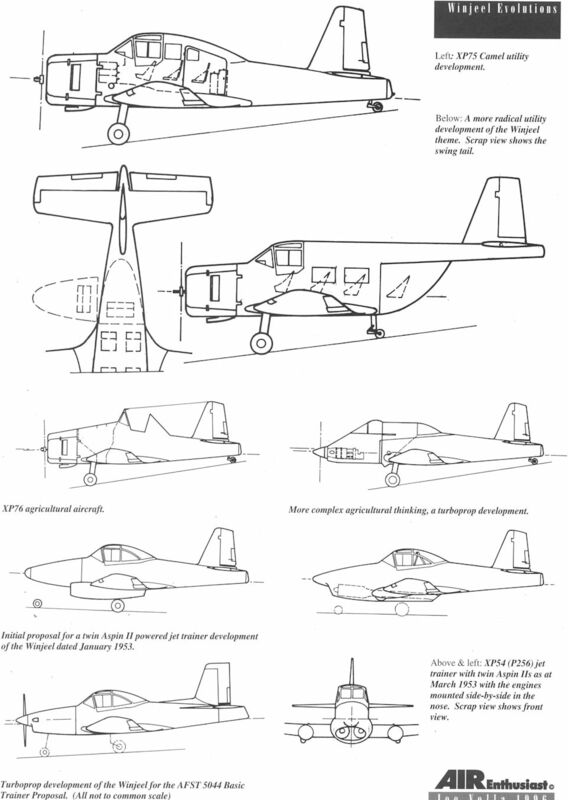 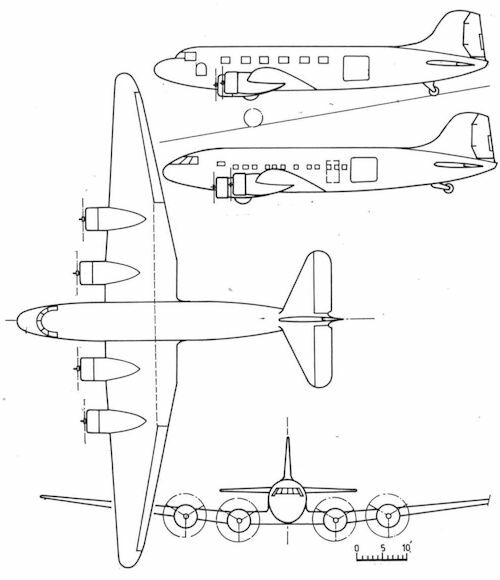 Three-view of the P177 military transport with (inset) a fuselage variant dated December 22, 1942. 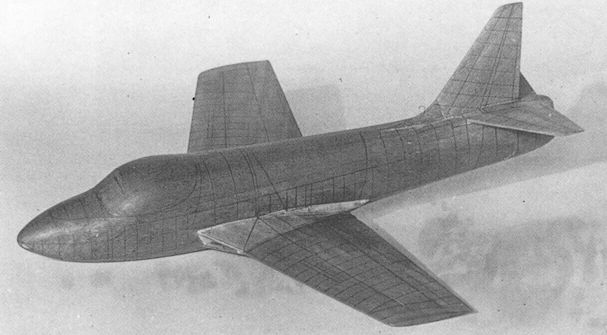 Boomerang development, the P176, dated August 8, 1942. 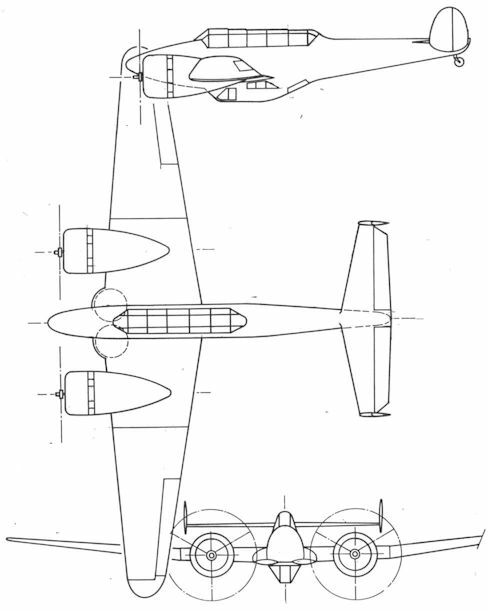 The CA-23 in its final configuration was a large airframe. 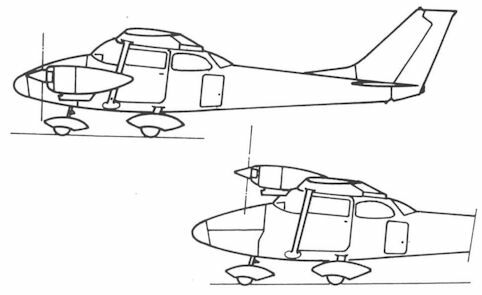 Perspex model of the CA-23 showing the positioning of the airframe structure as an aid to the lofting process. 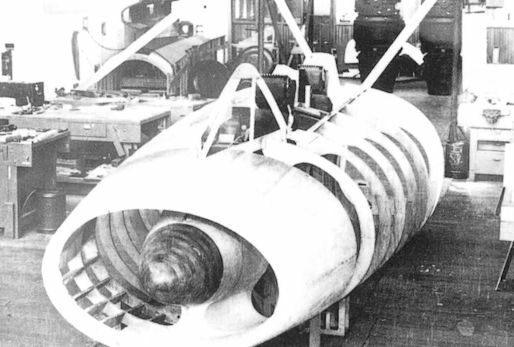 Wooden mock-up of the engine air inlet, with the radar housing and the two crew positions. 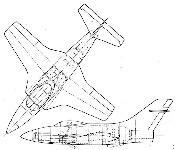 Plan view with cross-section of the P223. 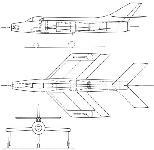 The P175 anti-tank and strike aircraft. 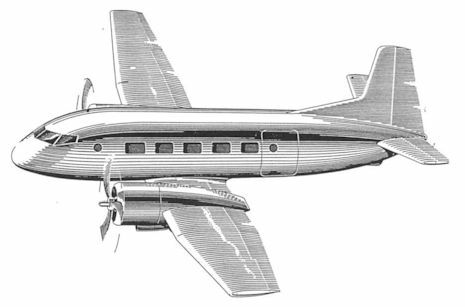 Impression of the P265 Wallaby feederliner of August 1953. 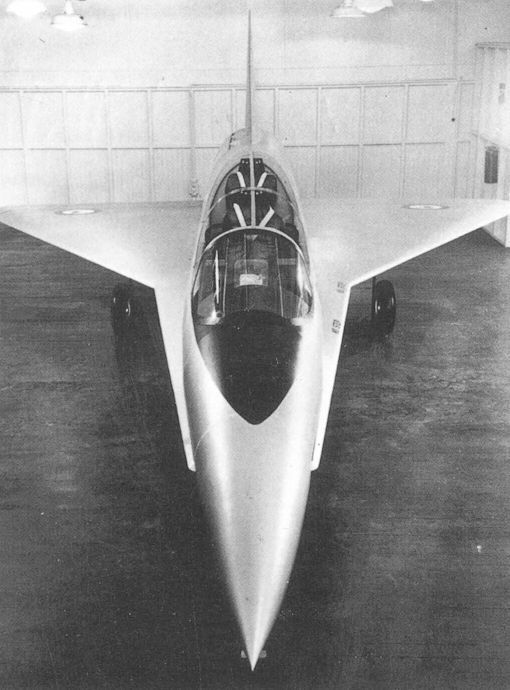 The variable geometry AA-107 with wings at full sweep. 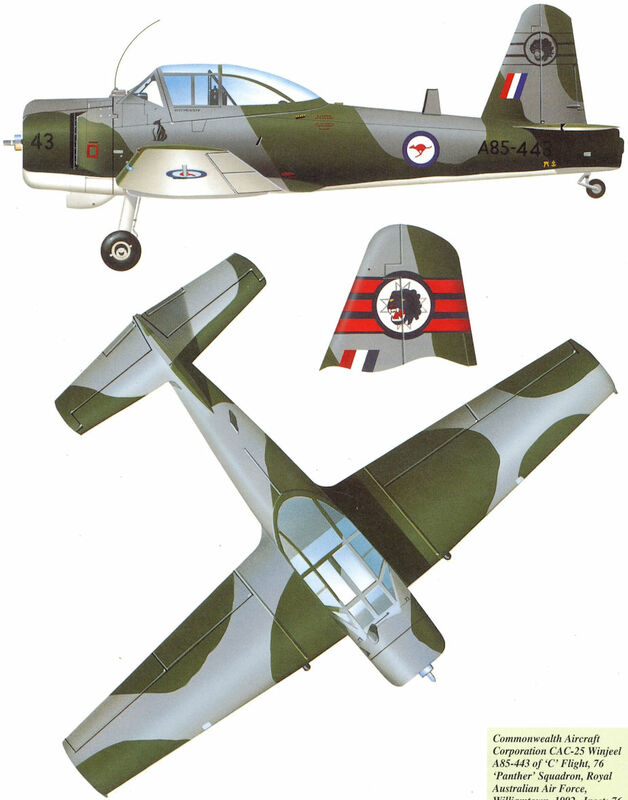 Model of the Universal Lightweight Trainer. 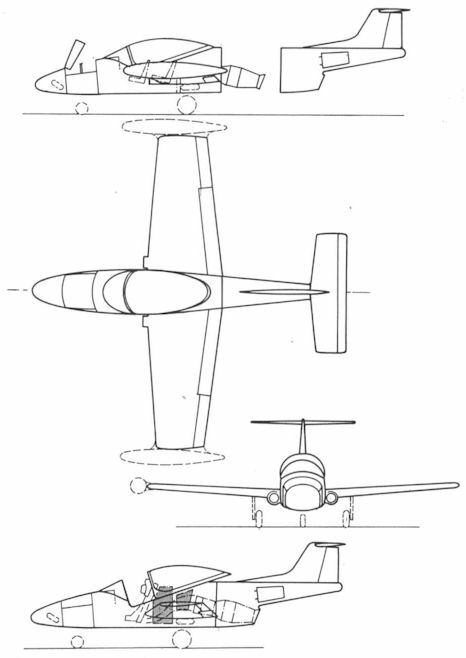 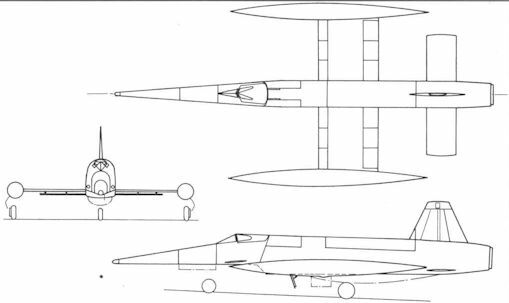 Three-view with cross-sections of the P271/XP63. 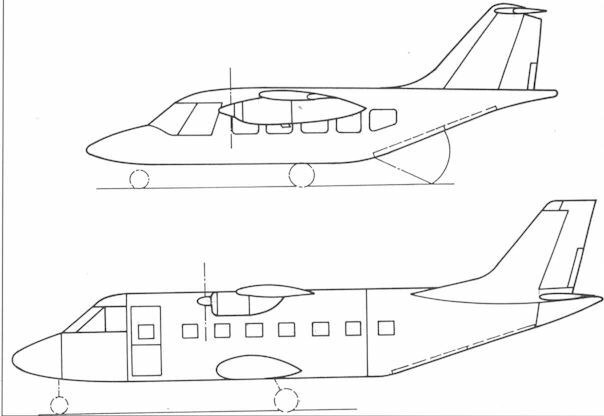 Top, XP74 four-seater with wingtip fuel tanks, showing fuselage split for engine access. 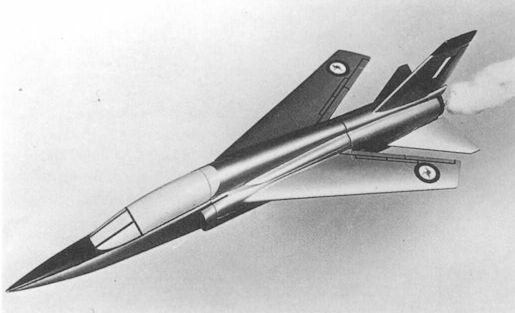 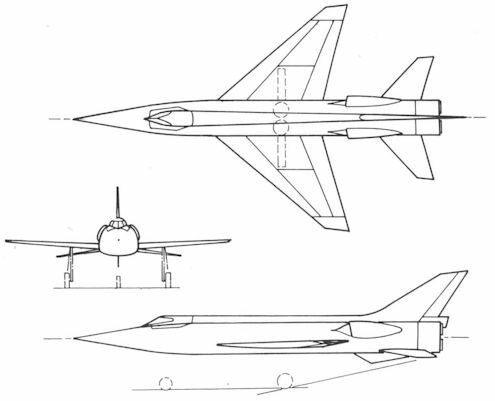 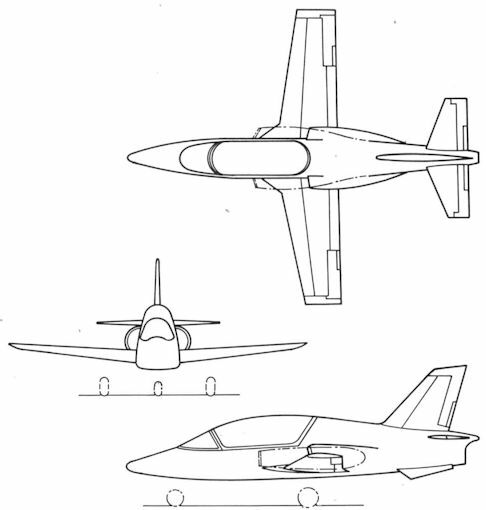 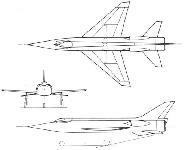 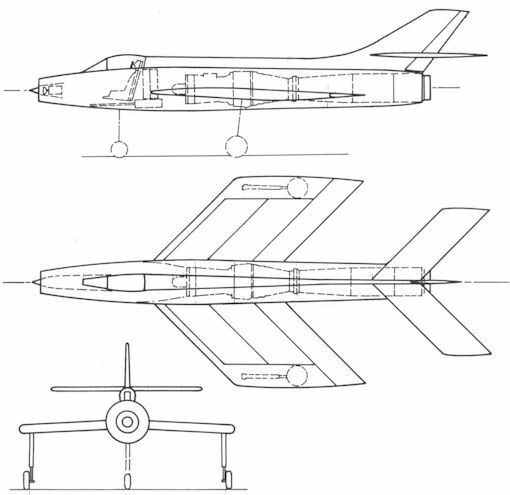 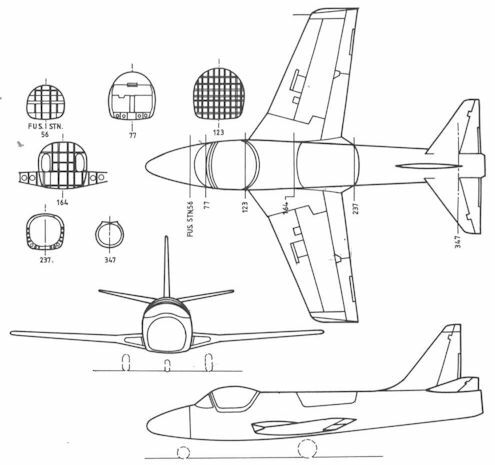 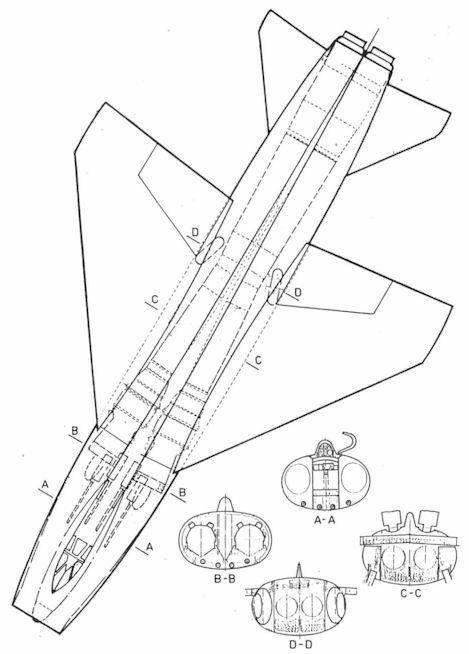 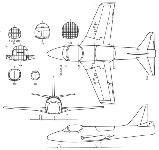 Three-view, XP73 jet trainer with additional fuselage tankage (shaded) with position of XP74 wingtip tanks shown. 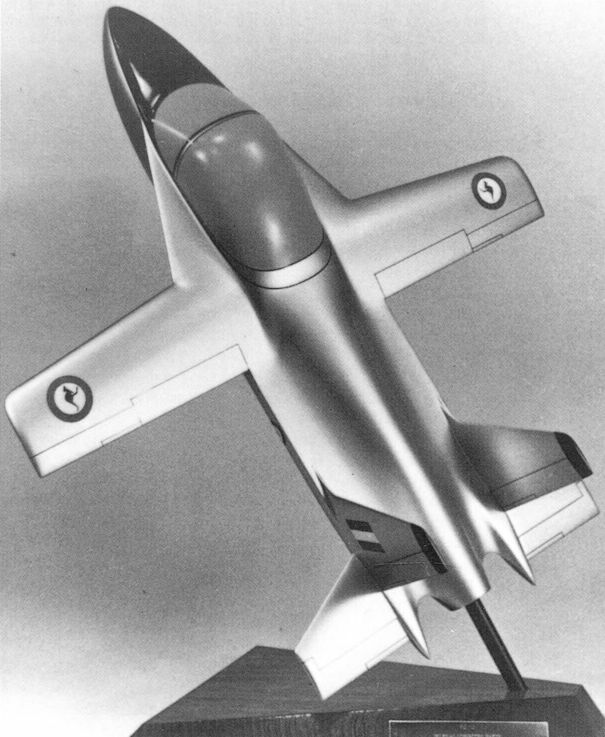 CAC Lightweight jet trainer. 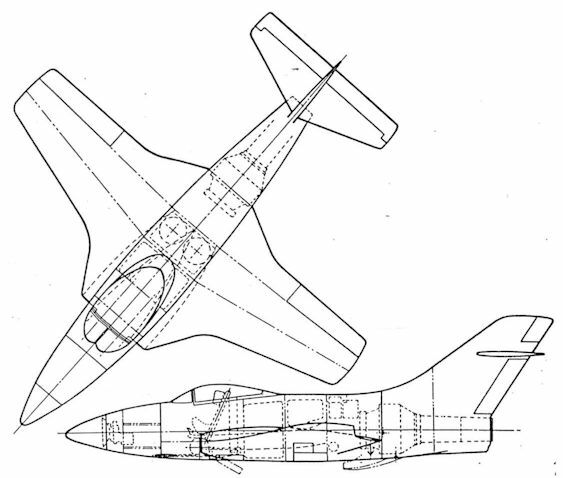 Probably outline of inlet ducts after further refinement is marked. 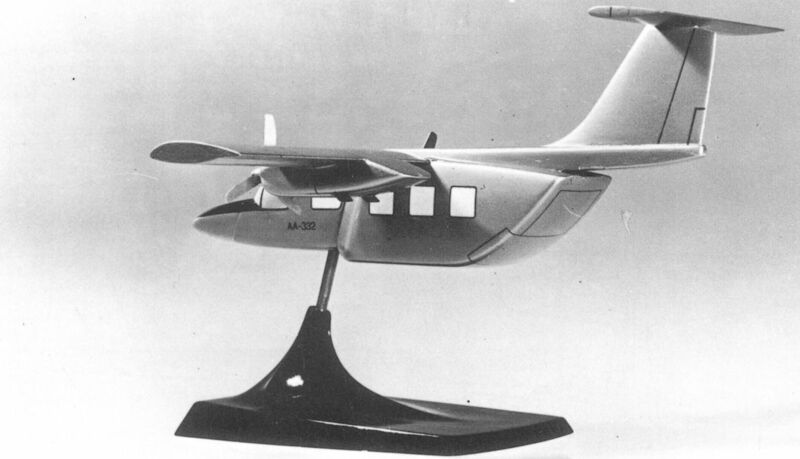 Model of the LMS with the wide body lock-on module for passenger carrying attached. 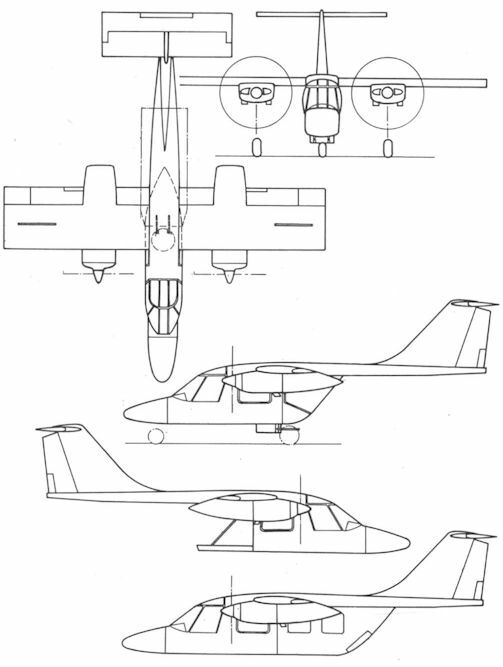 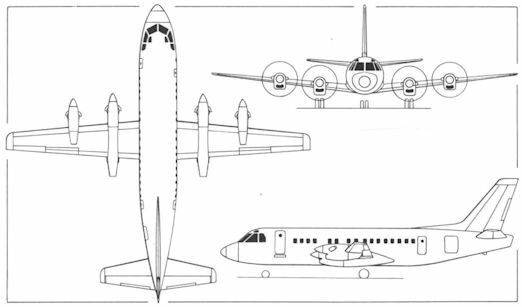 Top, light civil/military transport and bottom, the larger Light Utility Transport Aircraft.